Slack just added Square CFO Sarah Friar as the company's first independent board member. So, is the company readying an IPO? "No," Butterfield told Axios. "I've said publicly before that we are trying to run the company so that we're ready to go public, not because we are going to necessarily." Rather, Butterfield characterizes the addition as "part of growing up." an effort that will also see the company invest this year to translate the service into more languages and be more useful to the largest of businesses. 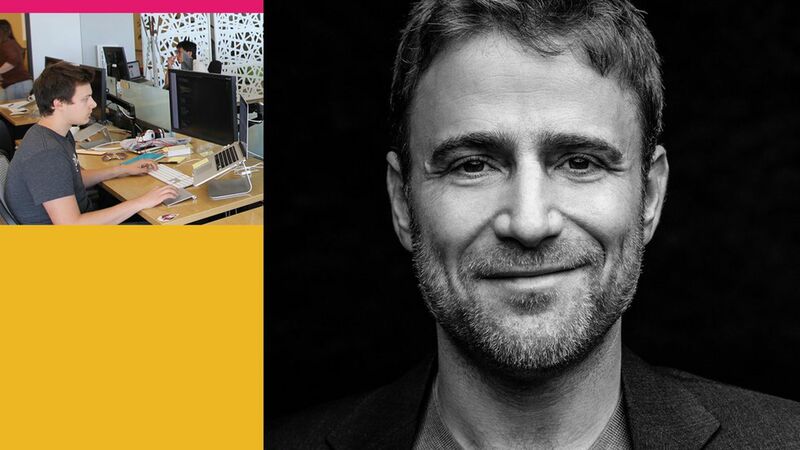 For more on Butterfield's plans for Slack, (and why he won't be buying back Flickr) read on. Click here for his thoughts on Donald Trump (and he has many). You just added Square CFO Sarah Friar to the board as first independent director? How does this reflect where Slack is as a company? It's part of growing up. There's definitely an early stage for tech companies where you can get all of the shareholders in a room. As you get larger, there's not only more shareholders but more stakeholders. Governance of the business becomes more complicated, naturally. We're at the point where we measure revenue in the hundreds of millions, we have tens of thousands of customers around the world. Sarah has just a fantastic set of experiences for us at this stage - a buy-side analyst and researcher for a long time, SVP at Salesforce and CFO at Square and a real deep strategic thinker. She's been using Slack at Square for many, many years. Does it say anything about IPO plans? No. I've said publicly before that we are trying to run the company so that we're ready to go public, not because we are going to necessarily. But because there is a lot of good discipline there, a lot of building of internal controls and a method of governing the business that is important. Microsoft released Teams last week, and Google is reconfiguring Hangouts to be more of a player. Do you see those two companies becoming tougher competitors than they have been? Certainly than they have been, because they are more or less new entrants. They are each a little bit different. We are working pretty closely with Google on the partnership side and deeper and deeper integrations. I think there's a relationship there that works even if we are competing on some fronts. We had Diane Greene on stage for (a) launch event just a couple months ago. There's two senses in which we think about it. One is me as a fiduciary to the company to take the competition seriously and the other is me as someone who really enjoys making software. It's exciting and exhilarating for the same reason it's more fun to play basketball against an opponent than to shoot hoops against yourself. I think we're really well positioned in both cases. For a long time you said you wanted threaded comments in Slack but you wanted to do them right. In January, Slack added threading, but in a very gentle, optional way. Is this comments done right? I think it is. We went through so many different iterations of this. One of the things we found we really wanted to avoid was forcing people to have to think too much before they typed what they wanted to say. If you were constantly in a position where you had to decide when you wanted to answer somebody's yes/no question in a channel or in a thread, it makes Slack very difficult to use. This strikes the right balance. It allows threading when threading is needed and gets out of the way when it's not. What are the major areas of focus these days? What are you spending your time on? Making Slack a good solution for a broader array of businesses. Here I specifically mean making it work for some of the biggest companies. Slack was originally designed for teams of people. At 50,000 it's no longer one team. International expansion, we are already in a position where 40 percent of our paid seats are outside of North America. But now we have to start taking payments in Yen and making a German-language version of the product available and all of that kind of stuff. The last one I would mention is platform. There's over 1,000 apps in the Slack App Directory. We get pigeonholed as a messaging app. Slack is this bridge and we have these incredible partnerships. When we talked the last time you said that you had explored potentially buying back Flickr. With Verizon acquiring Yahoo's assets, any chance that you'd look at that again? No. I think we could have, in the past gotten it for free if we wanted to, but the cost of taking it over would be extreme. personally I have no interest in doing it. The world is very different. We started it 14 years ago almost. I love what I am doing right now, the amazing team. It's been hugely successful. wqe have customers all around the world and it's growing very quickly. I definitely wouldn't want to take on anything else.